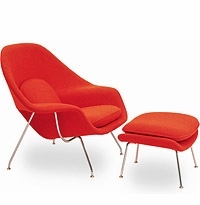 In his purist approach to architecture and interior design, Eero Saarinen sought the essential idea and reduced it to the most effective structural solution within an overall unity of design. 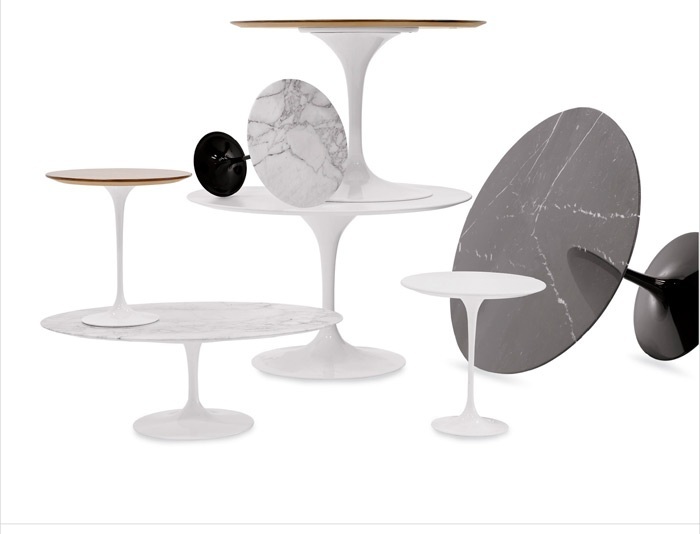 In his pedestal collection, which includes a dining, coffee and side table, Saarinen realized his ideal of formal unity: "Every significant piece of furniture from the past has a holistic structure." 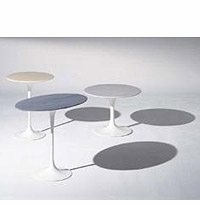 The tables are available in veneer, laminate, marble, and granite top finishes, in a wide range of colors. 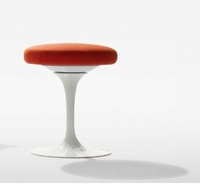 An immediate classic upon its introduction in 1956 but a design in progress since his work with Charles Eames in the 1940 MOMA Organic Design contest, Saarinen's objective was to clarify the furniture forms he designed. "The undercarriage of chairs and tables makes an ugly, confusing, unfruitful world. I wanted to clean up the slum of legs and make the chair all one thing again." 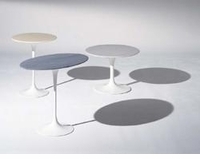 All of our non-Knoll Eero Saarinen tables are modeled after the original series in every way, shape, and form. All of the edge treatments, sizes, and materials used make it identical to the official version. The only difference is that our prices are much lower. The base is heavy molded cast aluminum, strap-polished and coated in tough, abrasion-resistant rilsan finish. The classic Euro Sardine signature knife edge top can be produced in your choice of laminates, cherry wood, maple, walnut, black marble, white marble or granite. We ship your purchases from our factory right to your door. We cut out the middle man and sell the entire line at discount prices. Most of our models are in stock for a quick ship. 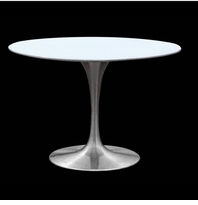 We can also custom configure your table and quick ship any order in only 6-8 weeks! 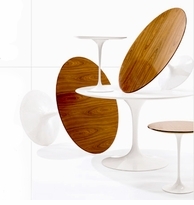 We can custom make any Eero Saarinen table in your choice of white, black, or any other color laminates.We also offer a wide range of Walnut Veneer Wood tops! 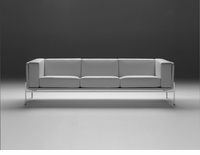 We source this series from Europe via Gordon International and also from South America as well. Many customers insist on Italy production and therefore Gordon International is a good resource for such. We deep discount the entire line. Other consumers like the value, design, and the expert craftsmanship of our lower cost South American series.